This is another unknown organ, from St Bernard’s Church in the very musical city of Baden-Baden. 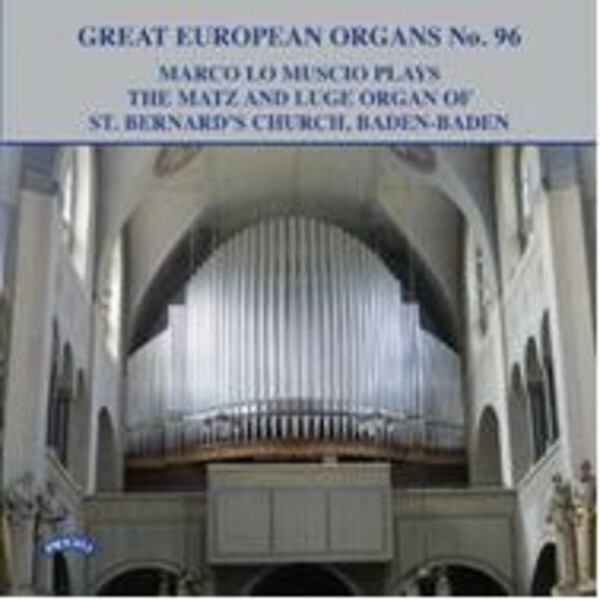 Marco Lo Muscio’s third CD for Priory offers another extrovert programme which features a wide selection of composers, from Bach to two substantial pieces by Rick Wakeman (arranged by Lo Muscio) and the Hamburg organist Andreas Willscher - who has written over 1000 pieces for organ. Virtuoso playing, and another exciting release from Priory.